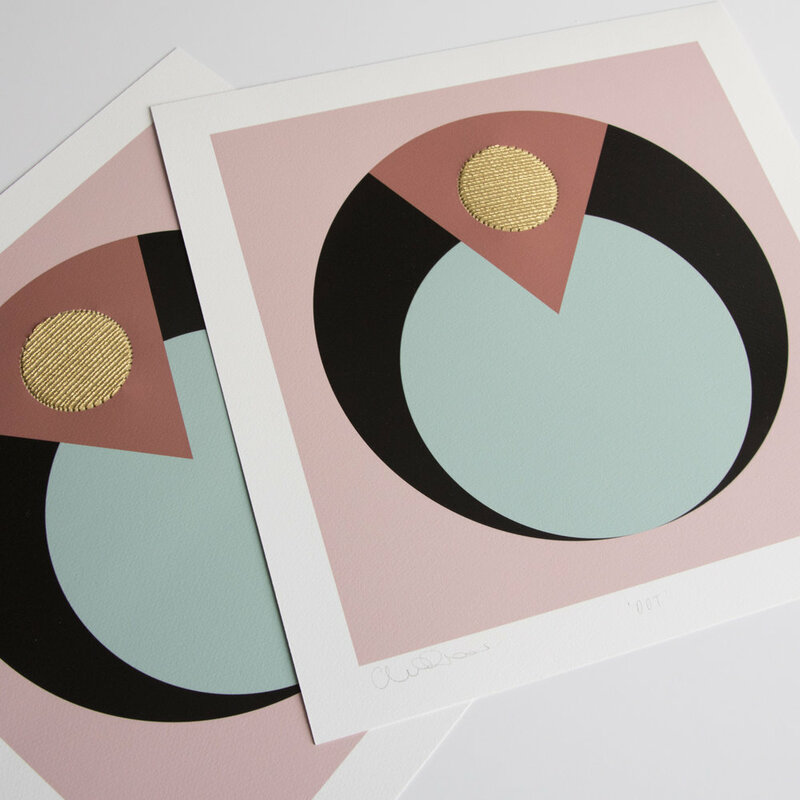 My abstract geometric series takes inspiration from Art Deco patterns and motifs. 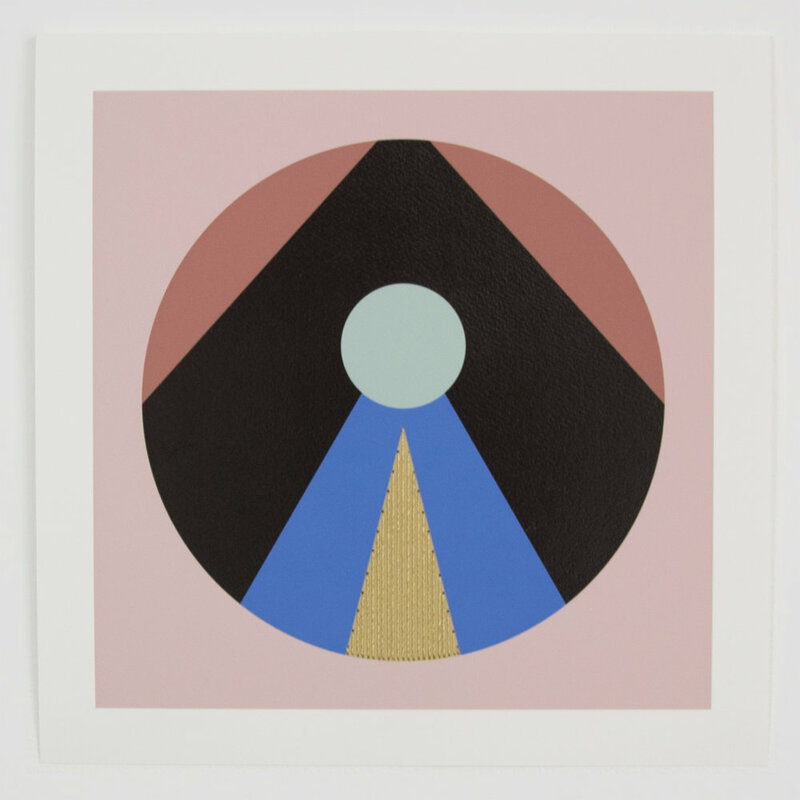 I design the artworks digitally, experimenting with shapes and colour combinations before the printing process begins. 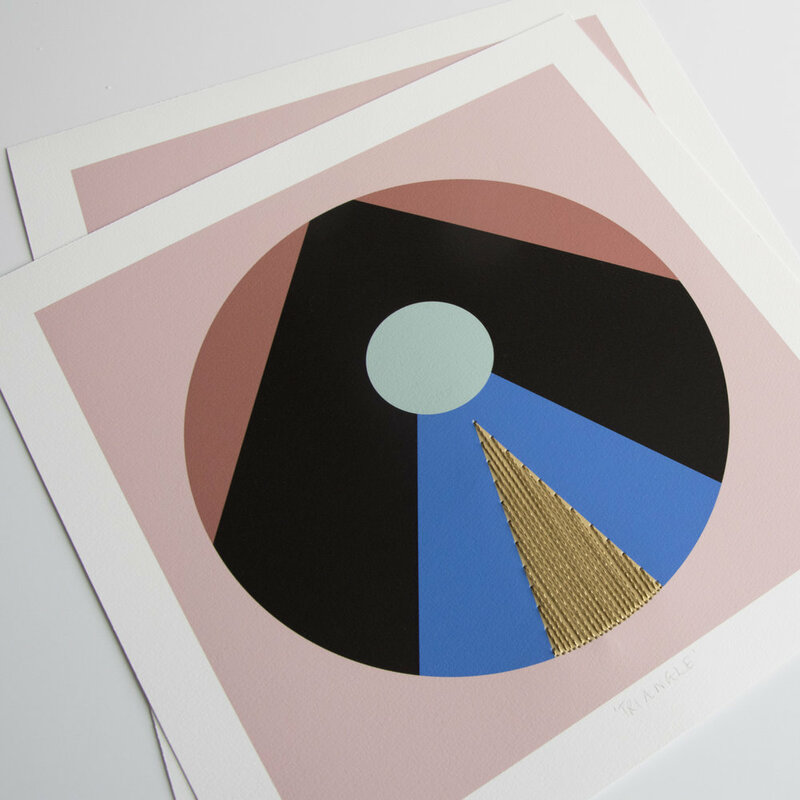 The works are first giclée printed and then treated with various screen printed glazes to achieve different textures and finishes. I then apply hand stitched thread to the gold areas. See how I stitch my works in this journal post. The series is available to purchase in my shop. Hand embellished prints with screen printed glazes. Miniature hand-stitched versions of the geometric works.